In the 1960s and 1970s Pittsburgh was a perfect storm of bright minds with new ideas on how to support the critically ill patient. The genius and drive of those medical pioneers gave the world CPR and helped shape the field we now call critical care medicine. Their legacy inspired the creation of the first stand-alone department of critical care medicine in the United States. Since then, our faculty continue to push the boundaries of critical care medicine by pursuing excellence in clinical care, education and research, and by keeping alive the tradition ‘firsts’ started by our founders and role models more than five decades ago. Peter Safar was a medical trailblazer who co-developed the now-famous ‘ABC’ cardiopulmonary resuscitation life-support system. His suspended animation studies were the spark for cardiopulmonary cerebral resuscitation—or CPCR—that used mild hypothermia to protect brain function. In his quest to save lives, he became a global promoter of the ‘kiss of life’ for widespread use. Dr. Safar was the first chair of the University’s Department of Anesthesiology and he developed the first intensive care unit and first community-wide ambulance service in the US. He was also the first director of the University of Pittsburgh International Resuscitation Research Center, which was later renamed the Safar Center for Resuscitation Research in his honor. Over his career, Dr. Safar amassed more than 1,300 professional papers, 600 abstracts, and 30 books and manuals, and was nominated three times for the Nobel Prize in medicine. A self-identified citizen of the world, he worked tirelessly for nuclear disarmament, international law, and peace. Ake Grenvik was recruited to the University by Peter Safar, becoming the one of the first physicians formally trained in critical care medicine. His passion for education led to the creation of the Multidisciplinary Critical Care Training Program for critical care fellows. He followed this innovation by pioneering the development of the first critical care medicine board exam. His clinical legacy endures as a co-developer of the first guidelines for the determination of brain death, and in transplantation ethics, informed consent, and care of the terminally ill through his role as the Chair of the UPMC Ethics Panel. Nationally, he is recognized as one of three co-founders of the Society of Critical Care Medicine. 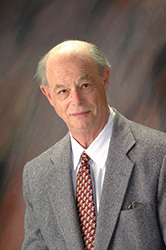 During a 41-year career at Pitt, Dr. Grenvik served as the research director for the Peter M. Winter Institute for Simulation Education and Research until 2007; he published over 300 peer-reviewed articles and book chapters. Mitchell Fink’s extraordinary academic career was launched with a first-author paper in Nature while still in medical school. As surgeon-in-chief in the Harvard system he advocated for critical care medicine as an emerging discipline and developed a vision of modern multidisciplinary critical care in academia. In 2001, his vision came to life when he became the inaugural chair of the newly established Department of Critical Care at the University of Pittsburgh, the first stand-alone department of critical care in the United States. 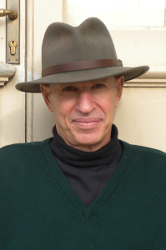 The proverbial triple threat—excellent teacher, clinician and scientist—Dr. 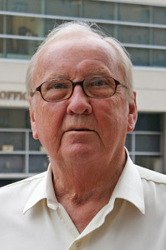 Fink was also an entrepreneur, mentor and administrator who published more than 300 peer-reviewed manuscripts over the course of his illustrious career. 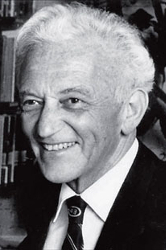 Peter Winter was the second chair of the Department of Anesthesiology and Care Medicine, which later gave birth to the Department of Critical Care Medicine. He was an early adopter of simulation-based medical training, establishing one of the country’s first simulation centers. This center was later named the Peter M. Winter Institute for Simulation Education and Research in his honor. He helped revolutionize advanced life-support methods, which saved thousands of lives and played a crucial role in Pitt’s emergence as a leader in transplant, neurological, and cardiac surgery. Dr. Winter was a mountaineer at heart, traveling to the heights of Everest and beyond, where he conducted high-altitude studies that greatly expanded our understanding of human physiology.